Our story involves a love of art, a newsagency, and a passion for what can be described as 'Boutique Fine Art Supplies'. Newcastle already had a reasonably decent general art store so Stephen & Joanne decided to concentrate on providing more variety for the local artists. As they continued to build their range they very quickly realised there was a great interest in 'hard to find' or 'boutique' art supplies. This was, initially, most apparent in the areas of artists inks and soft pastels. 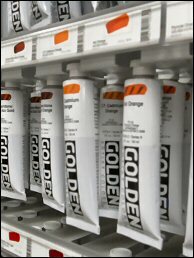 The pent up interest in soft pastels from local artists and the fact that Stephen & Joanne had fallen in love with the colours of soft pastels eventually led to the best range of soft pastels in Australia being built up. From here word spread and after many requests our specialist web site at softpastels.com.au was launched during 2013. 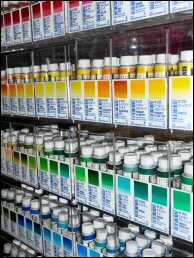 The Adamstown Art web site (launched 2014) allows us to make available the rest of our art material ranges to you. 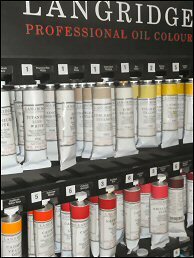 Before we stock a range of art materials we ensure that the quality is appropriate for fine art so that you can have confidence in the tools you use. Many of the ranges we stock will also allow you to expand your horizons, experience new approaches and achieve different results. When you choose Adamstown Art you can be assured you are dealing with genuine people who are more than happy to help, interested in your questions and who want you to be happy with the service provided. You can also be assured that if any problems do arise they will be personally attended to and sorted out as quickly as possible. Stephen & Joanne would like to thank you for visiting Adamstown Art and extend their personal philosophy to you that all customers will be treated as if they were a friend.